The opposition National Democratic Congress (NDC), has postponed its presidential primary slated for January 26, 2019. The decision according to the party has become necessary due to the lawsuit challenging the modalities for the elections. The party says although they have agreed with the two plaintiffs to have the matter settled out of court, the postponement was to give them ample time to consider a new date because a number of activities on their calendar including the vetting has not yet been conducted. 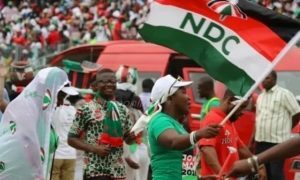 In an interview with Citi News, a Deputy General Secretary of the NDC, Peter Boamah Otokunor, said a new date will be announced after the party leadership meets on Thursday. He said if the party goes ahead with the election on January 26, 2019, that would mean that they have only one week to prepare, which is too short for such activities. “As you may be aware; we were unable to conduct a vetting and some other activities on the electoral calendar; so we are hoping that after we clear the legal hurdle tomorrow, we would sit down and look at a new date that will fit the other electoral activities,” he added. The NDC, and its two members who secured an injunction against the party’s upcoming presidential primary, have decided to settle the matter out of court. The court presided over by Justice Georgina Mensah Datsa earlier ordered the two parties to file their terms of the settlement in three days. Following the court action, all processes towards the primary including vetting of presidential aspirants had been halted. The two party members, Abdallah Issah, a branch Communication Manager and James Kabu Nartey-Oman, a branch Secretary in the Bortianor/Ngleshie Amanfro Constituency of the NDC, went to court to challenge the rules and guidelines set for the presidential primaries. In their statement of claim, the two had issues with the filing fees before it was reviewed. They were also unhappy about the fact that a particular rule which states that one has to be a member of the party for ten years before contesting for the presidential primaries had been breached. The lawyers for the NDC had argued that most of the issues raised have been dealt with internally. They noted that the initial filing fee of GH¢400,000 had now been reduced to GH¢300,000. In the writ, which was issued on December 18, 2018, the plaintiffs wanted a declaration that the published guidelines for the conduct of the primary by the NDC in 2019 were null and void. The applicants were also seeking a declaration that the introduction of specific eligibility criteria as conditions for presidential candidates were at odds with the letter and spirit of the NDC Constitution. They also wanted the court to declare that the procedure adopted by the NDC via the National Executive Committee (NEC), in the preparation and presentation of the guidelines, together with the amendments without prior consultation of the National Council of Elders, were unlawful. They also sought for a further order directing the NDC to conduct its 2019 presidential election in a free, fair, transparent and inclusive manner in accordance with the NDC constitution was also sought. The post NDC postpones flagbearer election over court case appeared first on Citi Newsroom.